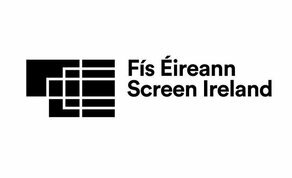 Screen Ireland has announced the successful funding applicants for the fourth quarter of 2018. Funding decisions for fiction, animation, and documentary have been awarded across development, production and distribution stages. Some of the leading talent behind last year’s Irish titles on the international festival circuit and in the Irish box office is visible in the following awards. Writer/Director Lance Daly, for example, is set to follow up on his Irish box office hit ‘Black 47’ with ‘The Wild Atlantic Way’, for which he has received €30,000 in funding for project development. Also under development funding is Director Lee Cronin and Writer Stephen Shields, creators of ‘The Hole In The Ground’, which debuted at the prestigious Sundance Film Festival earlier this year and is currently on release nationwide. The pair has received funding of €27,000 for ‘Box of Bones’ with Blade Rights producing. €50,000 went to ‘A Man‘s World’ for Element Pictures, with Lenny Abrahamson (‘The Little Stranger’) directing a script co-written by Jon Raymond and Abrahamson. The director behind the widely acclaimed Irish-Canadian co-production ‘Maudie’, Aisling Walsh has also received funding of €50,000 for her latest project ‘The Undertaking’, with Subotica attached. Four Treasure Entertainment titles have received development funding decisions with director John Butler embarking on his fourth project, ‘Kids These Days’, which received €30,000. Treasure will also produce Eva Birthistle’s directorial debut ‘Little Pictures’ (€20,500), Philip McMahon’s ‘Alice in Funderland’ (€26,000) and director Aoife Kelleher’s ‘Just Sixteen’ (€25,500). Five animation projects are also included in the development line-up with each project receiving funding of €20,000. Jam Media’s ‘Pinewood Peaks, Pink Kong Studios’ ‘Aleeums’, Distillery Films’ ‘Sullivan Sails’, Barley Films’ Pig Tales’ and Boo Labs Ltd’s ‘The Noseys’. Following the success of his recent Katie Taylor feature documentary, director Ross Whitaker’s latest project ‘Beating the Bookies’ has received €15,000 with True Films. ’I, Dolours’ director Maurice Sweeney’s ‘The Convention’ and Paul Duane’s ‘Jordantown’ also receive €15,000, respectively. Other significant development awards go to International Television Development with Green Pavilions' new project ‘Beloved’, written by Penny Gummerson, awarded €30,650. Shin Awil Productions’ new series ‘Costigan’ also receives funding of €35,250. ‘Costigan’ is written by Gary Duggan and joins Barry Devlin’s ‘Kill’ as Shin Awil Productions’ second Screen Ireland supported television series. For projects under the production category, the most significant award has been given to Feline Films for ‘Shadows’, which is directed by Fabio Mollo and written by Damiano Brue. The receives a total of €250,000 under the fiction creative co-production strand. Following this is Pink Kong Studios animated television programme ‘Urban Tails’, which received €180,000 with Writer/Director Aoife Doyle also attached. ‘To The Moon’ from Inland Films has been awarded €125,000 with ‘Green Wall’ writer/director Tadhg O’Sullivan attached. Animo TV Productions also receives €100,000 for ‘Windmill Lane: A Feature Documentary’, which is directed by Alan Moloney. Three projects receive distribution support in Q4 of Screen Ireland’s funding decisions. ‘Rosie’, Paddy Breathnach’s harrowing housing crisis drama, which was written by Roddy Doyle, received an award of €17,520. The film was distributed by Element Pictures Distribution in late 2018. ‘Keepers of the Flame’ (Nuala O’Connor) received €15,000 with Eclipse Pictures handling the distribution, while Morgan Bushe’s debut feature film ‘The Belly of the Whale‘, handled by Wildcard Distribution, received €12,500.